How a BBQ tiff turned into NZ’s first app-based on demand service platform. 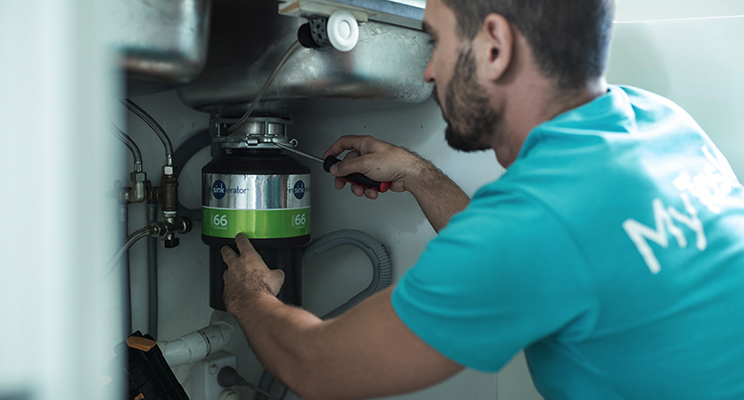 Remember a time when you had to Google a plumber- collect 6 sets of numbers, have 4 companies visit to quote on the job and then sync your calendar with theirs (sometimes weeks in the future) so that you’re home between 10am-6pm to let them in? The scary thing is that time is 2019. Like, now. People are doing this every single day. But why? We’re still stuck using the same way of searching for services that we have been for the past 30+ years, and I think it’s time to change that up a bit. Back in 2016 I was at a BBQ when things got heated between the hosts. The argument; ‘When are you going to get that curtain rail fixed! ?’ After things had cooled down slightly, the guests felt obliged to research and jot down any numbers for handymen they could find. A punishing way to spend any afternoon. But if we can get takeaways delivered to our door in less than 30 minutes and taxis in under 5, why couldn’t we have this curtain rail fixed within the hour? It was only some weeks later that I’d discovered I wasn’t the first to of thought about the gig-economy, although it didn’t exist in New Zealand; and that’s what needed to change. I met with my now business partner, David, who has been a fantastic sounding board and we built our first MVP locally called “Kwota”. The first app based on demand service platform in New Zealand. Think about it; You can request literally ANYTHING (within the law, although we’ve had some interesting requests) you want done around the home or office and businesses or locals in your area are notified of what it is you wish to have completed. They can make an offer based on the information you’ve provided, following which you’re then able to check their previous reviews and verifications, accept their offer, have the work completed ASAP and the funds are deposited straight into the workers bank account. Simple. In fact, so simple that within the first 3 months of our MVP we gained over 16,000 users and had thousands of jobs completed. It was time to build this thing properly. Prior to our re-launch we brainstormed about how best to re-enter the market, and who we specifically wanted to target and help the most. SME’s. The issue many platforms like this run into is the two-sided marketplace. If we can get the SME’s on board then our Taskers (workers) side is, for the most part, covered… and that’s why we’ve partnered up with Yellow, a business that knows Kiwi SMEs better than anyone. I cannot rave about these guys enough. Their vision matches ours to a tee, and they’re just as passionate about the overall idea of the platform too. The idea that SME’s can now save money on marketing by using a free platform (MyTask) to generate direct leads is the new benchmark. MyTask comes with a whole range of new security and verification features, as well as the ability to adjust payments while a Task is being completed. We’re also really proud to be the first New Zealand gig-economy platform to offer liability insurance to our Taskers for a wide range of selected Tasks. It’s been a long 2.5 years but we’re incredibly happy and proud of what we’ve been able to accomplish, although it’s only the beginning. Check us out at www.mytask.co.nz and start turning your to-do’s into to-dones. Today's the day! We're very nervous, yet excited here at MyTask HQ. I wanted to share here in our public blog the email I will be sending out this evening to our first adopters. "I reached out a few weeks ago, hinting at some pretty exciting news… The day has finally arrived! We’re beyond excited to be able to welcome you to MyTask. Over the past 12 months we’ve worked with some clever and creative individuals. It’s taken us to a great place; it’s enabled us to truly optimise the user experience for you. To mention just a few… The Task posting experience has been completely streamlined, you now have the ability to adjust payments after a Task has been assigned, user profiles and verifications provide a comprehensive view of who you’re communicating with and we’re able to connect you automatically if Tasks you’re interested in are posted close-by. We also now have MyTask Insurance, which is a liability insurance policy covering up to $5 million that insures Taskers for personal injury or property damage whilst performing selected Tasks. We’re pretty proud of what we’re releasing into the world, although our journey is only just beginning. It’s taken countless hours, careful consideration, testing, tweaking and retesting. Now, this is for you. Take it, use it, tick off your to-do list, earn some extra money. Mostly, enjoy the freedom and liberation you’re about to receive. 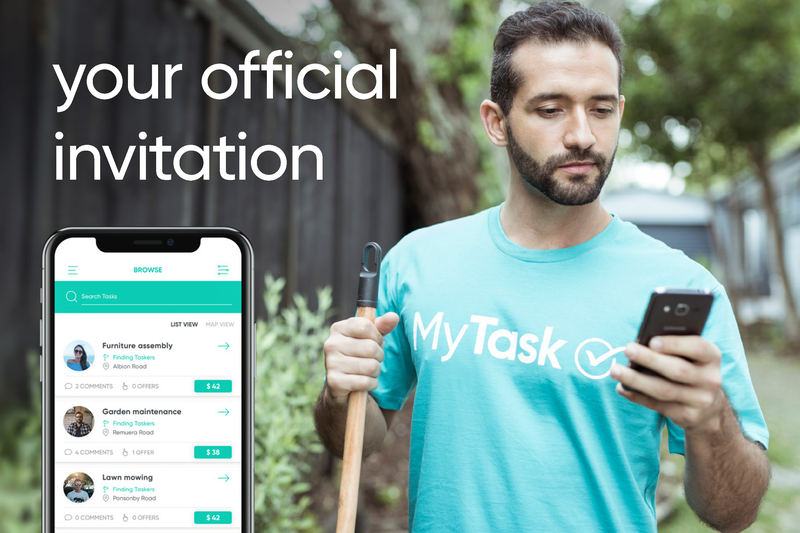 You’ll find us online at www.mytask.co.nz and for your exclusive first-look at the MyTask app, simply download using your preferred link below. Once you’ve registered to MyTask, feel free to email support@mytask.co.nz if you wish to transfer your reviews over from Kwota; we’ll get right onto that for you! Just so you know, you’re one of the first to be notified of the new MyTask platform, as we’re gradually launching across Auckland in the first instance with all New Zealand capital cities to follow shortly. As always, if you have any questions, I can be reached at michael@mytask.co.nz. Please don’t hesitate to give me a shout. Happy Task-ing and thanks for joining the ride!" We've been flat out at MyTask HQ over the past few weeks. Following our announcement of MyTask to Yellow staff, we have just completed our first round of marketing collateral which we will launch with. The images we were able to capture with everyday NZ'ers look fantastic. We're also finessing our mobile apps by conducting user testing with staff internally this week. We've already uncovered some instance where users were having difficulty, so these have been noted via our Feature Requests page. If there's anything you think could make MyTask better, feel free to add them. More updates to come as we finalise the MyTask desktop testing in the coming weeks as well, prior to our Auckland launch. Over the past 24 hours, we showcased the MyTask platform and brand to our new business partners, Yellow New Zealand. Here's to 2019 and the launch of something very special.